Download and print instantly. The lucky recipient can choose whichever course dates they want in 2018, and their 1-year pass starts when they first attend. 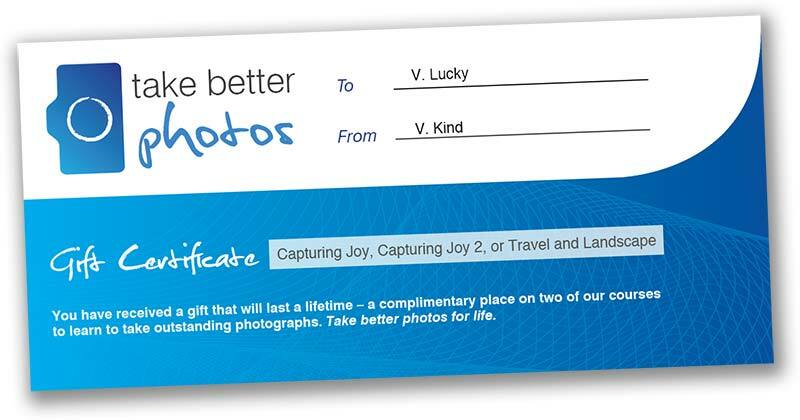 Get Capturing Joy alone or save with bundles. Not sure which voucher? Buy with confidence; you can change or refund an unused certificate for 30 days.